Welschriesling/Graševina is a white-wine grape originating in central Europe; there are various theories about its exact place of origin, but no one seems very sure. 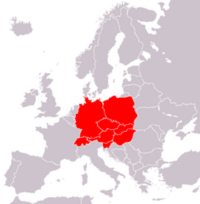 It is nowadays grown throughout central and eastern Europe, and is widely known under each of its two leading synonyms, Welschriesling and Graševina. The prefix "Welchs" means "foreign" or "alien" (the same as "Welsh" in English). Welchsriesling (a bad, bad name, because the grape is not at all related to true Rieslings, but is consequently often compared to them) is what the grape is called in most places; but in the locale where it reputedly grows best and produces the finest wines, Croatia, it is called Graševina, and it is probably those wines that one first seeking out the type should sample. In Austria, another major producer, the emphasis is clearly on the dessert wines the grape can make. Dry Graševina when young tends toward a light color and a notable aroma and taste of apples; mature Graševina shows strong minerality, with citrus and stone fruit aromas and flavors. Factoid: Welschriesling is often used, especially in Austria, as the base wine for sparkling wines. Neal Martin, eRobertParker, reprinted on "Wines of Croatia"
"I am convinced that Grasevina can produce fine white wine, indeed I fondly recall an impressive flight at the International Wine Challenge last April. Probably the best thing that anyone did was change the name and banish the associations we have with the much-derided Laski Rizling. Grasevina is easy to pronounce and provides a hook for some lovely, fresh, aromatic Croatian wines that perhaps need to work on their length: abundant flavour on the front palate but not the back-end to really make an impression. Growers need to watch those yields because they can engender bland, anonymous wines if not kept in check." "Usually by far the best Grasevina come from Kutjevo areas, though in the dry and hot years such as the 2003 exceptional quality Grasevina also can be found in the vineyards of northwestern Croatia, such as Plesivica. In good years Grasevina displays aromas and flavors of fresh juicy apple. 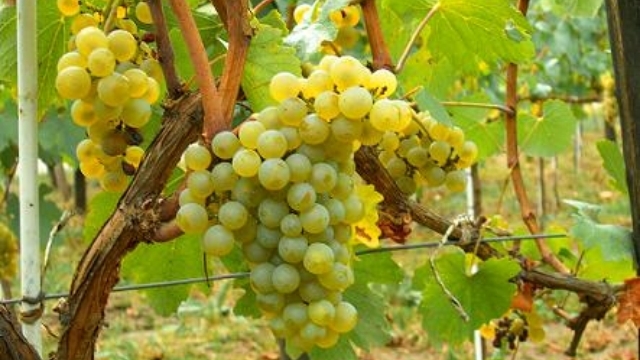 Grasevina ripens late, the harvest are usually in the second half of October, a young wine has a beautiful light yellow-green color, while the mature Grasevina predominate yellow tones. " "In the right sites in Croatia, and where a green harvest is practised, Graševina will produce a wine that is full bodied with fresh acidity, and, stressed [wine writer Saša] Špiranec, marked minerality." "Wine made from Welschriesling lacks strong aromas and is widely considered to be of lower quality than the great Rieslings of Germany and France. The exception are those from Austria, where Welschriesling’s high acidity is employed to create Trockenbeerenauslese wines that rely more on their luscious sweetness and texture than aromatic profile. A number of late-harvest wines are also produced from Welschriesling wines around the world." "The versatile Welschriesling can cover almost all quality levels: from base wine for neutral, acidity-accented sparking wines (the grapes come mostly from the area around Poysdorf in the Weinviertel) to easy-drinking Buschenschank (tavern) wines from the Steiermark, to the noble sweet TBA wines from Burgenland, especially from the Seewinkel. . . The wines are very good for the production of sparkling wine, but they are also excellent for Prädikat wine as well. The quality range is very extensive. . . Yields wines with generous acidity and a fruity bouquet exuding notes of green apple and lemon. While dry Welschrieslings can be very fresh culinary companions, the Prädikat [off-dry] versions are amongst the truly great sweet wines of the world. Beerenauslese and Trockenbeerenauslese styles have a golden-yellow hue, the bouquet wafts with exotic fruit and the palate delivers a fine honey note along with the characteristic acidity." "The wine is best known for producing dry wines that are light, slightly floral and have a nice blend of citrus and stone fruits. Welschriesling takes well to warmer climates, as in cooler climates it can be overly acidic. More productive than true Riesling (which is usually called Johannisberg or Rheinriesling when it is found in the same regions as Welschreisling) though generally it is not as long-lived or as fragrant as its similarly named counterpart. The best examples of Welschriesling hail from the Burgenland area of Austria where it can be found in both dry and sweet versions. Fine wines of Trockenbeerenauslese levels of Noble Rot made from the Welschriesling are not uncommon. Dry versions can be found extensively in the northern Italian regions of Trentino, Collio and Friuli, as well as in Hungary, Serbia, Croatia, Bulgaria and other areas of the former Soviet Republic." "Welschriesling is made into a wide range of styles, but the two most common are dry table wines and late harvest/botrytized sweet wines." "The Grasevina has been known to exhibit apricot, berry (general), peach, and rose characteristics." Austrian wine in general is little known in the U.S., primarily for the same reason Swiss wines suffer obscurity: though excellent, they are scarce, and the locals drink almost all that is made. And Styrian wines are among the least-known of those already obscure Austrian gems. As you will see below, even press and blog reviews of these wines are few and far between. As is all too often the case with lesser-known varieties, there is a dire paucity of offerings available at retail in the U.S., and most of what there is at all is very scarce, often (according to the wine-search engines) carried by but a single retailer. A couple of retailers suggest more listings, but are usually "Out of Stock" on them. This very brief list is what we could find. 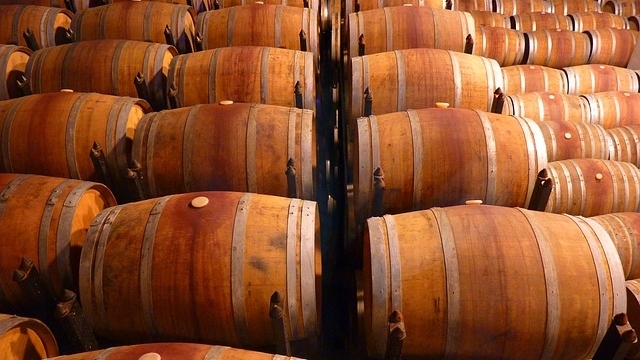 In all cases, caveat emptor: many of these wineries also make sweet dessert wines from this grape, or other price-level bottlings, and retailers' listings (and even the makers' labels) often do not distinguish carefully. Make sure that if you want one of these wines, that that is the one you're going to get. ♦ Winemaker Ivan Koloman takes Grasevina, inland Croatia's humble go-to grape, and elevates it to world-class quality in this seductive white. ♦ This is a classic Grasevina, with a straw yellow hue, pronounced aroma, medium content of alcohol and extract, and a pleasantly bitter aftertaste. You can't go wrong if the bottle has a Enjingi label on it. After long years of work, self-sacrifice and struggle in the vineyards and wine cellars, the Enjingis made it – their name became synonymous with quality. ♦ Floral and fruity up front with sweet lychee, stonefruit and jasmine flower notes, this is a refreshing wine with zesty acidity and a clean, grassy midpalate that’s just a bit short on concentration. 84 points. 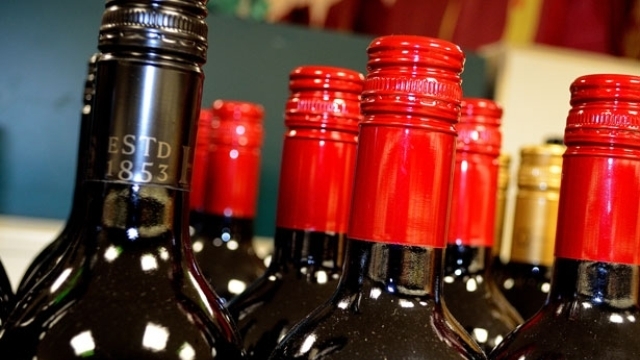 ♦ The interplay of peachy fruit and strong peppery mineral is intriguing, but balance is a problem. Dark lemon/yellow in color, there is creamy white peach fruit in the nose, along with substantial peppery mineral and a hint of petrol. Medium bodied, with a creamy and somewhat viscous mouthfeel, there is a great deal of peppery mineral acidity and moderate bitterness. The combination of cream and pepper is a bit incongruous. In the flavors, floral-tinged and slightly honeyed white peach fruit makes an appearance first, but is soon overtaken by an avalanche of peppery mineral and bitter herbs. The finish has modest length and feels unbalanced. Rated Good. ♦ The entry-level basic bottling from natural winemaker and “godfather of Graševina”, Ivan Enjingi. Straw yellow with green highlights; notes of autumn apple, banana peppers, and savory hints of charred wood, sweet spices, and a mineral note akin to powdered stone; spicy on palate with lively acidity and a long, palate cleansing finish — makes your mouth tingle and crave roast pork loin, grilled weisswurst, or fish paprikash. ♦ Floral, unctuous Enjingi Graševina 2012 finishes with a cleansing note of bitter almond. It stands up to rich cuttlefish risotto. ♦ Almond oil bitterness on the nose and grapefruit zest, slightly odd fennel -like aromas, light spritz, and high alcohol crushed cider apple fruit with quite bitter phenolic character. Hefty and powerful. 87 points. ♦ In Croatia, wine makers, and Ivan Enjingi in particular, have shaped this grape into an elegant wine for even the most discerning palates. ♦ Deep golden color. Golden apple predominates throughout the aroma, palate, and finish. Very aromatic nose, also reminds me of baklava (honey, orange peel, baking spices). Dry, full bodied with flavors that also include honey/toffee intermingled with nice minerality. Refreshing acidity and a long finish with notes of exotic spice. This is a delicious wine and at $15, a terrific value. ♦ [T]hese grapes come from vines between 30-35 years old, planted on deep clay soils. A beautiful, fresh wine that would a refreshing addition to any wine list this summer. ♦ Although Krauthaker does produce a number of different wine varieties, they specialise in Graševina, also known as Welschriesling. They’ve won a number of international awards for their wines, including a bronze medal for the Graševina Mitrovac 2009 at the Decanter awards in London. Single vineyard, small area higher up. The process for this wine used totally no sulphur, he threw away three out of four lots. Multiple selections led to very low yield. Botrytis was encouraged, and this white wine had a whopping 208 days maceration with no battonage!! 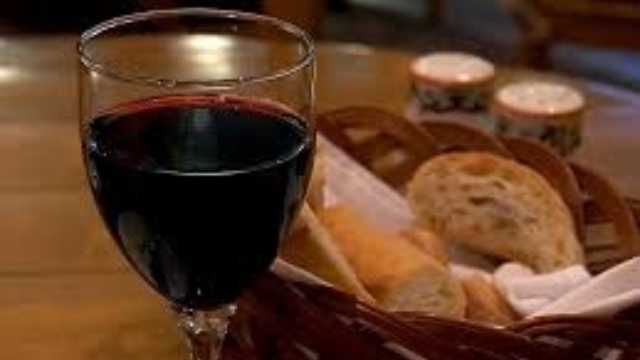 The resulting wine has a stunning aroma and bouquet, with an oxidative character, but also fruit and acid, no massive wood, yeast or funny tastes. Good tannins, very clean, very precise. ♦ Very nice, limpid wine with that softly peachy and melon rind nose with a little skin contact firmness. Very juicy and fresh, lots of body and richness, a touch of bittersweet, grapefruit and bitter lemon tang but a terrific wine. They also produce single vineyard Graševina normally, but most went into this blend in this wet vintage. 88-89 points. ♦ [M]edium straw; dry honey, apple peel; lovely mouth feel; generous, good clean finish. 88 points. There are few or no dry, table-wine renditions any better than what's listed above, so no "splurge" opportunities. This page was last modified on Saturday, 3 June 2017, at 1:05 am Pacific Time.